Standing few steps away from the beach! 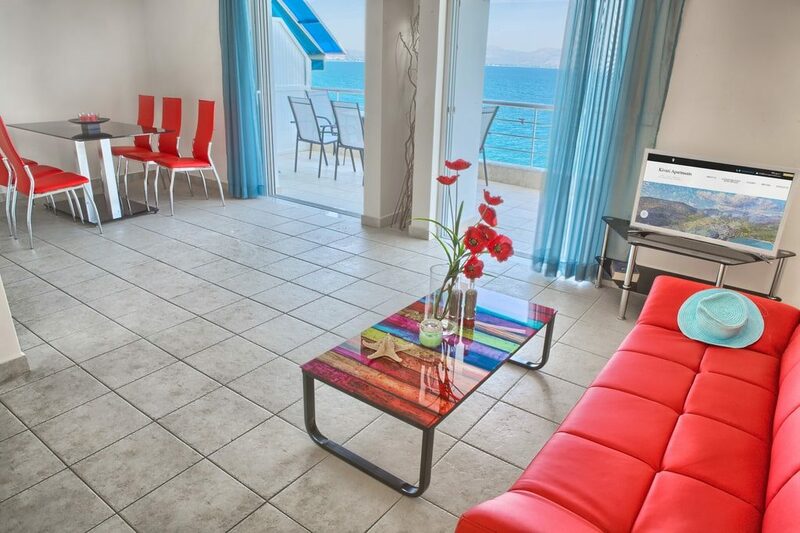 Kiveri Apartments is situated in Kiveri village on the bay of Argolis, the Peloponnese region of Greece. Located at about 2-hour drive from the Athens Airport, the area offers many historical sites, culture and beauty for those who looking for a spectacular trip in Greece. It is 12 Km far away and across from the tourist center of Nafplio, closed to the archaeological sites of Mycenae, Argos, Tiryns and Epidaurus. 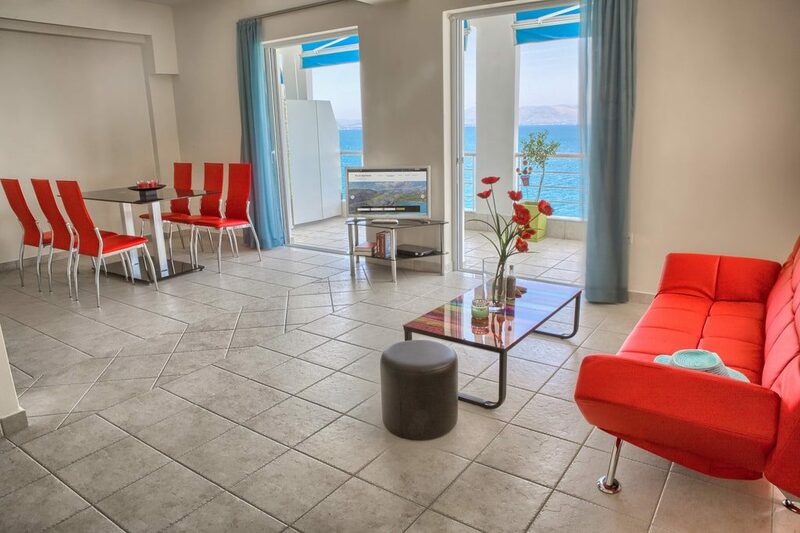 All Apartments are overlooking the sea, standing few steps away from a quiet and beautiful exclusive beach. Furthermore, follow the beautiful sea side path along the sea front, in 5-minutes you arrive in the heart of Kiveri village. There you can taste the local specialties in Greek taverns, experience the “frappe” cold coffee and enjoy the family friendly, commercial and well organized beach. 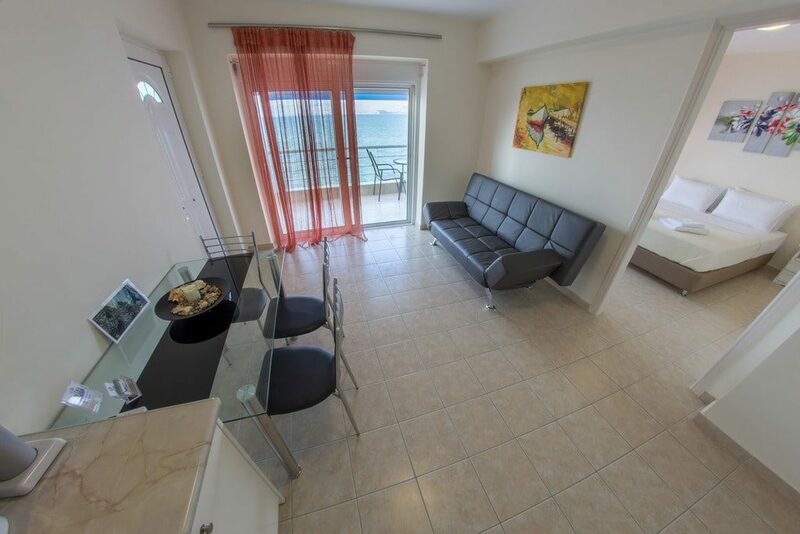 “Kiveri Apartments” are consisted of 5 Standard air-conditioned Apartments. 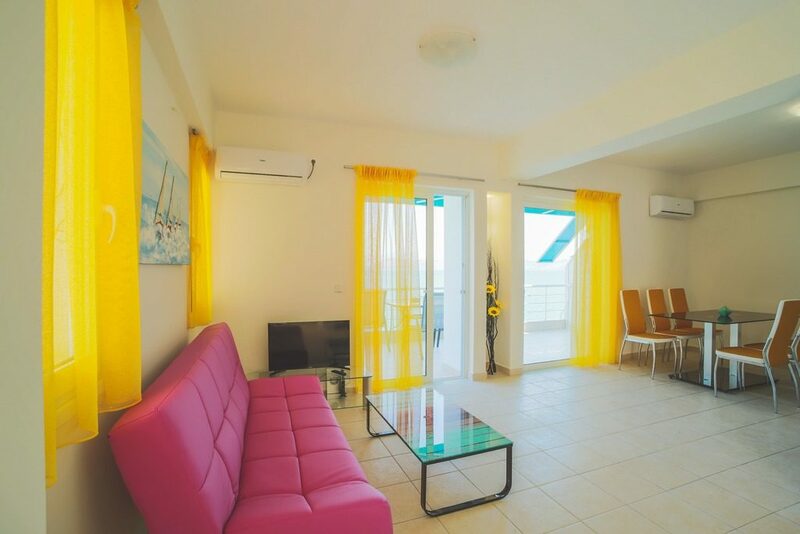 All are bright with big balcony doors, giving you the feeling of living on a cruise ship. 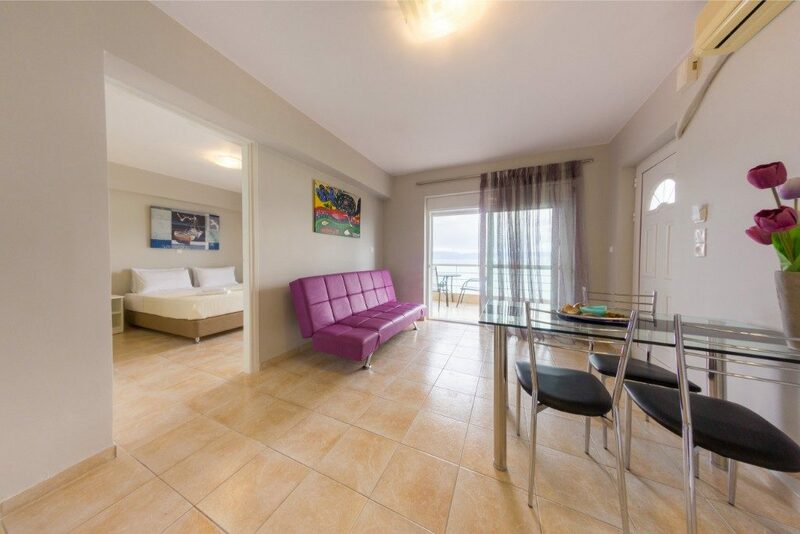 Hence, the private balconies are facing a stunning view over the sea, the Argolis gulf and the castles of Argos and Nafplio. They are fully equipped with a flat-screen TV 32 inches, couch, tables, chairs, family-size fridge and a fully equipped kitchen. Kiveri Apartments provides independence and a luxury experience.